Xerxes, a ninetysomething survivor of the extinct Brazilian Communist Party, hires an unemployed journalist to write his life story, and most importantly explain his 1935 tragic love affair with comrade Elza Fernandes, code-named The Girl. 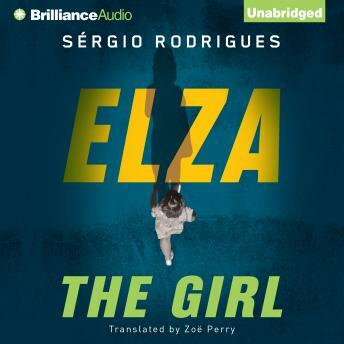 Elza’s tale is one of the most bizarre true stories in Brazilian history: as a beautiful sixteen year old, she was suspected of betraying the Party and, although the charge could not be proved, was sentenced to death by Luiz Carlos Prestes himself. Prestes, the most eminent Latin American communist leader in the romantic era prior to the Cuban revolution, had arrived undercover in Rio from Moscow with a mission of overthrowing the Vargas government. A strikingly contemporary, post-utopian narrative, Elza: The Girl blends the pace of a thriller with the insightfulness and thorough research of a historical novel, introducing the reader to a world in which emotional, political, and even artistic truths must be reappraised in order to understand our shifting present.